Howdy! My name is Amanda but feel free to call me Mandy. 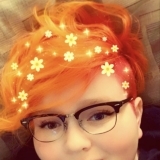 I’m a really shy pansexual just looking to meet new people.